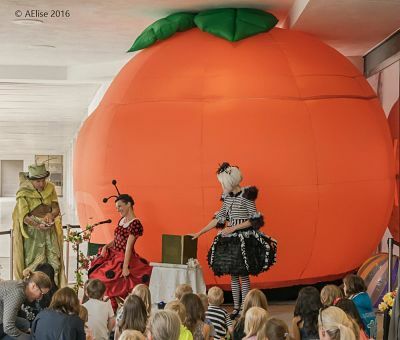 The Curious Peach is performed in front of a giant, inflatable peach and can accommodate up to 100 sitting on the floor. 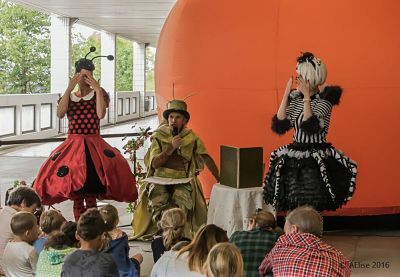 It is a collection of stories, songs and facts about insects and their relationships with humans, from all around the world. 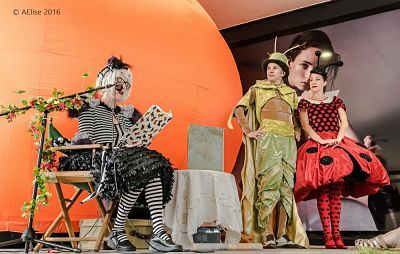 The show is great for family fun days or for children’s festivals. 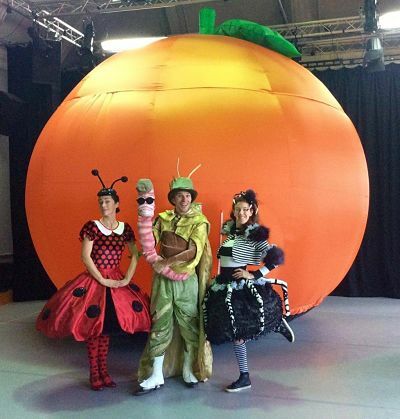 The ‘curious peach’ (and the kids’ imaginations) is what allows the show to ‘travel’ around the world on a global bug safari, and the children choose where to go next. 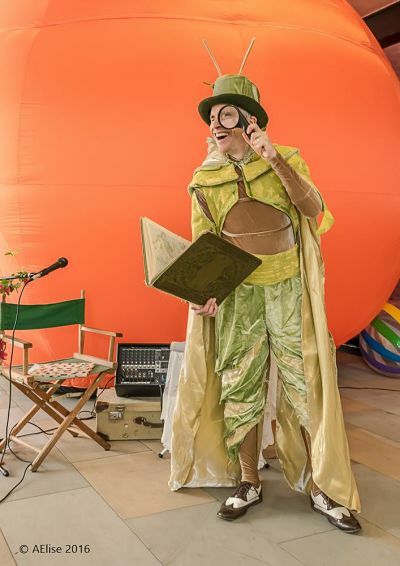 It is a combination of entertainment and education, bringing insects to life for the audience. 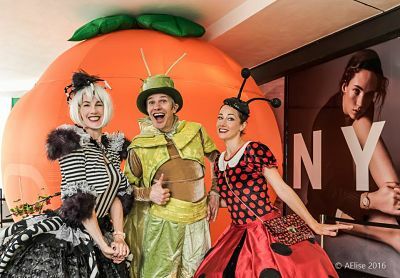 The show hopes to change peoples’ attitudes to insects, opening their eyes to the vital contributions the many species make to our existence and to their extraordinary diversity. Sometimes they also do some very groovy insect dancing!